How MoiChef Uses Feedier To Create Surveys That Work? Getting a good response rate to your post-order feedback request is impossible? Case in point, MoiChef managed to collect amazing feedback from its customers after they received their package. I have been talking to them, and I’ll share some of the findings today. MoiChef is a startup in the gastronomy industry founded in 2014. The concept of MoiChef is very simple: they want to give everyone access to the knowledge of the greatest Chefs. Their concept is very simple: every month, they edit a box signed by a great Chef, which highlights its style, its universe, its recipes but also the producers with whom he or she works. MoiChef is first and foremost an e-commerce website selling monthly subscriptions and gift cards. In order to reduce the churn rate – or the number of customers leaving – it’s very important for them to establish a dialogue with their customers and understand what they want, like, what they dislike, and why. 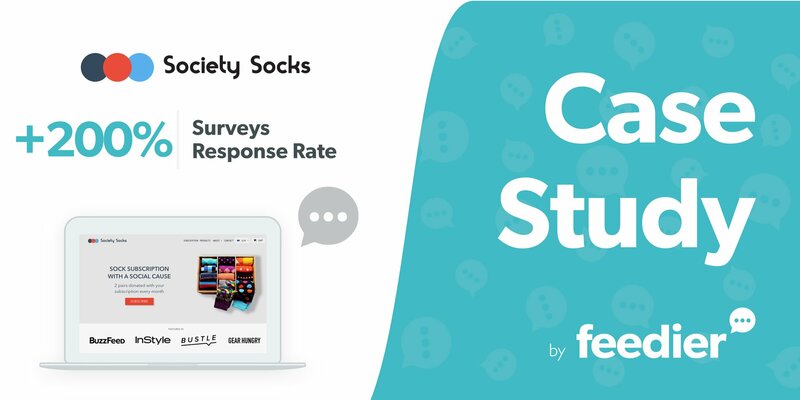 We were looking for an appealing way to engage with our customers, do customer research and collect feedback from them — which is where Feedier came in handy. Why Are The Classical Methods Not Working? Although the team at MoiChef haven’t don’t much feedback in the past, the few surveys they have done have been giving poor results, or very bad response rate. They know they must be something wrong. Why Did They Pick Feedier? Feedier is a very attractive and versatile product to collect feedback. Besides the rewards and engagements features that appealed to us, the Feedier team has been very flexible and responsive, which led us to this partnership. On a final note, Feedier is also a French company, so we are happy to partner with them! MoiChef set up different forms, for different purposes, and at different moments of the customer journey. Some of them are appearing on the e-commerce website when the user is taking specific actions, in order to understand what lead them to take this action. However, their best performing surveys are the purchase confirmation and churning ones. We also set up a post-purchase questionnaire that allows us to create the first approach with these new customers, before the human contact. They have been able to recover churning customers by offering them a reward – using Feedier built-in feature – but also understand what drove them away from the concept. Finally, Mathilde told me about one of their best insight: they discovered that their concept could have been better explained in the first place. They subsequently overhauled their homepage and got immediate results! If you also want to create surveys that work and give you actionable results for your business, start your 14-day free trial now.